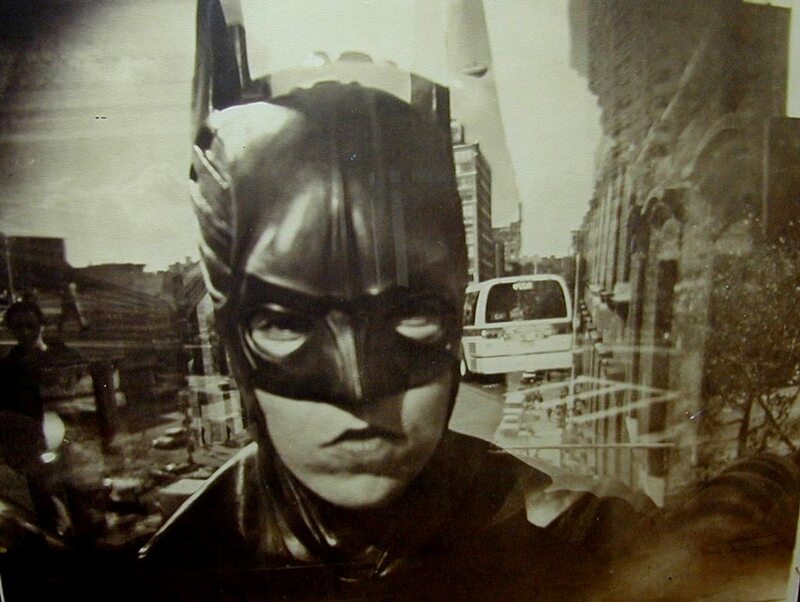 Contemporary German artist Katja Liebmann is a graduate of the Royal College of Art, the Kunsthochschule Berlin and the Academy of Fine Arts, Nuremberg who first gained critical acclaim for her low tech camera series Gotham City, which was acquired by the Saatchi Collection. Katja describes herself as a ‘painterly soul’, citing Rembrandt, Turner, Poussin, and Titian as her inspiration. On a quest for beauty and harmony, seeking order from chaos, her images are characterised by a softness and longing which she likens to German Romanticism. The work of Katja Liebmann records the energy, isolation and alienation of urban life whilst maintaining a reflective, dreamlike quality. Much of her work is printed using low tech nineteenth century processes, such as the Gotham City pieces which were created with the Van Dyke process. The negative is contact printed using sunlight to produce rare and timeless photographs. The Journeys and Dwellings series feature cyanotype prints, one of the oldest photographic processes. The blue tone of the cyanotype prints on textured etching paper enhances the romance of the images; heavy raindrops are blotted onto the hazy scenes outside and shadowy trees float against vast stone facades. Katja’s use of this early photographic technique is not a sentimental choice however; for her it simply presents the best means to portray the ephemerality of time and existence. Katja Liebmann was nominated for the 1998 Citibank Photography Prize (now the Deutsche Börse Photography Prize) and was awarded the prestigious DAAD scholarship in 1995. Her work is in the permanent collections of the Royal College of Art, London; the Victoria and Albert Museum, London; the Charles Saatchi Collection, London; the LzO Art Collection, (Landessparkasse zu Oldenburg), Oldenburg; the Bishkek Art Centre, Kirgisien; and the Omsk Museum of Visual Arts, among others.